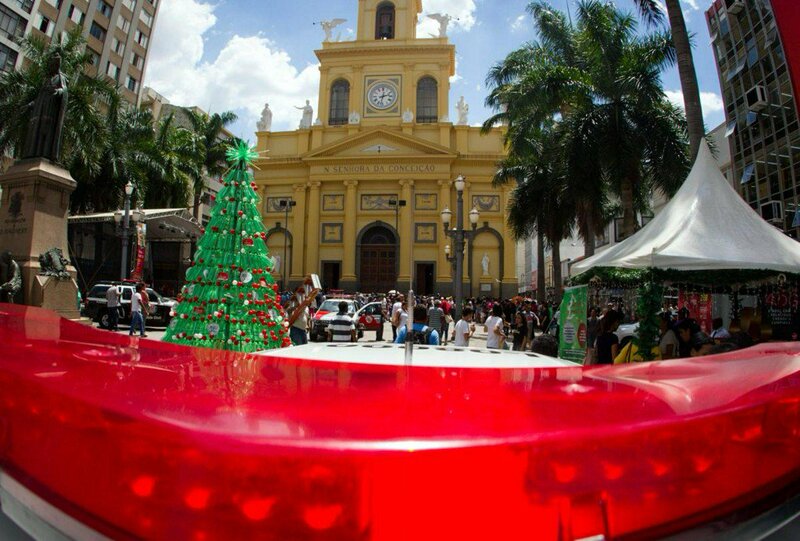 General view of the Catholic cathedral where a gunman opened fire to the faithful, in Campinas, Brazil. A gunman entered a Catholic cathedral in the Brazilian city of Campinas on Tuesday and fatally shot four people attending midday mass before killing himself at the altar, fire department officials said. Four elderly people were seriously wounded by the man, who began shooting at the congregation with two guns, according to a spokesman with the fire department in Campinas, an industrial city 100 kilometers (62 miles) northwest of Sao Paulo, where the shooting took place. 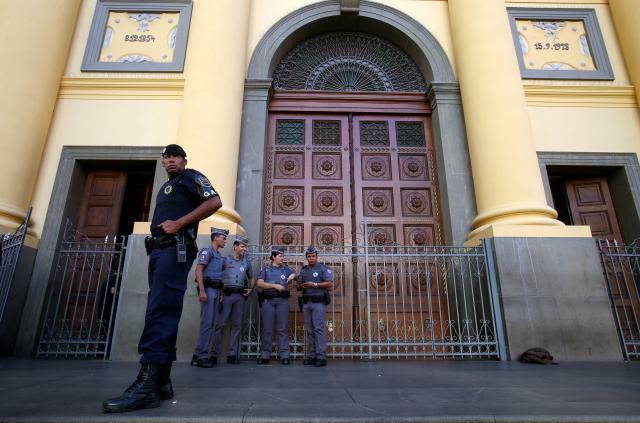 Policemen stand in front of of the Catholic cathedral where a gunman opened fire to the faithful, in Campinas, Brazil. The wounded were taken to a hospital in Campinas. Firemen at the scene said they had not identified the gunman. Brazil had nearly 64,000 murders last year, more than any other country, according to the United Nations. However, random mass shootings are relatively rare, with few American-style shootings in schools or other public areas.